Today's cadets are tomorrow's aerospace leaders. 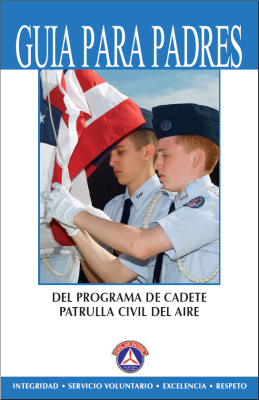 Through its Cadet Program, Civil Air Patrol transforms youth aged 12 to 20 into responsible citizens. CAP is the volunteer, non-profit auxiliary of the U.S. Air Force. Its three missions are to develop its cadets, educate Americans on the importance of aviation and space, and perform live-saving humanitarian missions. View .mov file (20.6 Mb), or download as a zip file (19.8 Mb)! You may need Quicktime Player to play the .mov file. Parents are welcome to participate in CAP. No prior military service or special skills are required. Whether you want to help chaperone cadets once in a while or become a full-fledged senior member active in CAP missions, we would love to have you get involved in CAP. - To volunteer, talk with your son's or daughter's squadron commander. - To volunteer,talk with the squadron commander, who will give you a membership application, help you get fingerprinted, and complete an orientation course. Annual dues vary by state. - To volunteer, talk with the squadron commander, who will give you a membership application, help you get fingerprinted and complete an orientation course. Annual dues vary by state. Any time you have a question or concern about CAP, please feel free to contact your son's or daughter's squadron commander. If local leaders are unable to resolve the issue to your satisfaction, the wing headquarters, which oversees all the squadrons in your state, will be glad to help. Use the unit locator to find contact information (click your state, and then click the link for the "001 Wing Headquarters" unit). Q: How much does it cost to join CAP? A: Annual membership dues vary by state. Q: What are the age requirements for joining CAP? A: Youth aged 12-18 may join CAP as cadets and remain cadets until age 21. In special school program squadrons, sixth graders may join, even if they are under age 12. Of course, adults of any age are welcome to join CAP, too. Q: Are cadets obligated to join the military? A: No, but many do. Cadets who earn the Billy Mitchell Award may enter the Air Force at an advanced grade (E-3) if they choose to enlist. The service academies and ROTC also look favorably on CAP experience. Approximately 10% of the USAF Academy cadet corps got their start in CAP. Q: What level of commitment is expected from cadets? 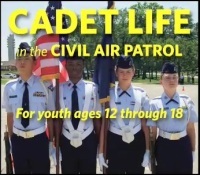 A: CAP expects cadets to participate actively, but of course CAP recognizes that cadets have school, family, and other obligations that take priority. Most squadrons meet weekly for about 2 1/2 hours, and offer special activities on the weekends and during the summer. If your son or daughter is unable to attend a CAP activity, please have them let their commander know in advance. Like any extra-curricular activity, cadets will get out of CAP only what they put into it. Q: Who leads and supervises the cadets? A: CAP takes its responsibility to safeguard youth very seriously. The adult volunteers who interact with cadets (known as CAP senior members) have been fingerprinted and screened by the FBI. Also, as part of their leadership training, advanced cadets lead and mentor new cadets under the guidance of senior members. For more information, see our cadet protection policy . Q: Do cadets need to maintain a certain grade point average to participate in CAP? A: Of course, school comes first. CAP expects cadets to maintain "satisfactory performance" at school, as defined by the cadet's parents. 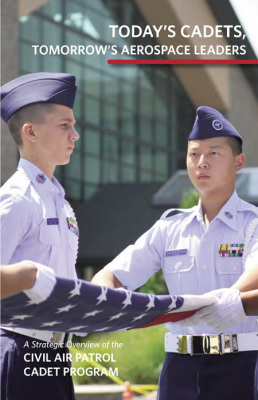 Because CAP emphasizes self-discipline, it's not uncommon for parents to see their son's or daughter's grades increase as a result of their participation in the Cadet Program. Q: Why do cadets wear uniforms? A: CAP uses uniforms to promote teamwork and develop self-discipline. The uniform motivates cadets to set high standards for themselves and to live their core values of integrity, volunteer service, excellence, and respect. Additionally, cadets practice military customs and courtesies as part of their leadership training. Q: What uniforms do cadets wear? A: The basic cadet uniform is the short-sleeve Air Force style blue uniform. Most cadets also choose to wear the optional BDU (camouflage) uniform. Q: How do cadets obtain uniforms? A: New cadets are eligible to receive the Air Force style blue uniform at no cost to them through the Cadet Uniform Program, upon joining (depending on the availability of Air Force funding). See your local squadron commander for details. BDUs and other uniform items may be available through your squadron&apos;s supply, and may be purchased through the clothing sales store on military installations. Q: How do cadets obtain uniform insignia? Q: Where do the patches, insignia, etc. go on the uniform? A: See the uniform mini-posters (PDF) included in your son's or daughter's member kit. Q: What's involved with cadet orientation flights? A: Through orientation flights in powered aircraft and gliders, cadets experience flight first-hand. CAP's pilots are licensed by the FAA, follow a syllabus for each flight, and ensure the flight is conducted safely. Orientation flights are free to cadets. See the squadron commander for information about when the next opportunity to fly is scheduled. Q: How do cadets advance and earn promotions? Q: Does CAP have activities outside the squadron meetings? A: Yes. Visit our Activities page for information about Encampment, Leadership Schools, National Special Activities, and more. Q: Does CAP offer any scholarships? A: Yes. See our scholarships page for details. Q: I have more questions about CAP. Where can I find answers? A: CAP's on-line Knowledgebase is a great source for more information about CAP programs. Of course, your son's or daughter's squadron commander will also be glad to answer your questions.